Public transport is something Prague can be proud of. Comparing to other capital cities it’s cheap, efficient and highly integrated. It is also quite safe to travel around Prague by tram and the metro, both during the day and at night. 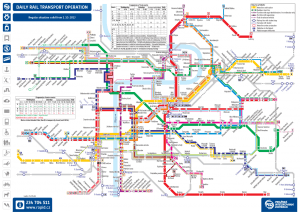 As guidebooks say – Prague has the best public transportation system in the whole Europe. The metro, trams and buses are used by two-thirds of Prague’s population and cover the majority of the capital city and outskirts. So, are you curious how “the best public transport in Europe” works? Let’s briefly go through all of possibilities you can find here. 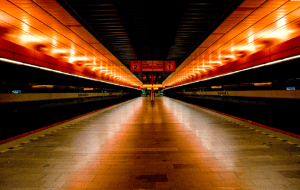 The Prague Metro operates daily 05:00-24:00. Metro lines operate a service every 2-3 minutes during peak hours, and 4-9 minutes after 19:00. There are 3 metro lines: A (green), B (yellow) and C (red). These cover all areas of the city centre. Line A is the most popular with tourists as it serves the main sights: Prague Castle (Malostranska), The Old Town (Staromestska), Wenceslas Square (Mustek, Muzeum) as well as connecting with bus 119 to/from the airport at Nadrazi Veleslavin. You can transfer between lines at Můstek station (lines A and B), Muzeum station (lines A and C) and Florenc station (lines B and C). Just before the doors of the metro train are closed, you’ll hear an announcement that most of the tourists wonder about as it’s quite long. It goes: “Ukončete prosím výstup a nástup, dveře se zavírají.” Which means: “Please, finish getting on and off, the doors are about to close”. The Prague Metro is safe and reliable, transporting passengers at high speed from one side of Prague to the other – Prague Metro map. Daytime trams operate daily 04:30-24:00. The most popular trams run every 4 minutes. Other trams run every 8-10 minutes during the week, and every 8-15 minutes at weekends. Night trams operate nightly 24:00-04:30. They run every 30 minutes, and are numbered 51 through 58. Trams cover all areas of the city centre. Most useful trams are: – 9 – runs from Wenceslas Square in the New Town via the National Theatre, over the river to the Old Town, and – 22 – runs from the National Theatre over the river to the Old Town Square, and up to Prague Castle (a nice scenic route). The main train station in Prague is near Wenceslas Square – Praha Hlavni Nadrazi. The second train station in Prague is just outside the city centre – Praha Nadrazi Holešovice. Here you’ll find Prague Tram map. City buses cover the outskirts of Prague and areas where trams or the metro do not run. Daytime buses run from 4:30 a.m. until midnight in 6-8 min. intervals in peak hours, 10-20 min. intervals in the off hours, and 15-30 min. intervals on weekends. Night buses (numbers 501-513) run from around midnight till 4:30 a.m. at 30-60 min. intervals. Bus 119 connects the Vaclav Havel (Ruzyně) airport with the Nadrazi Veleslavin metro station and bus 100 connects the airport with the Zličín station. They are both a convenient and cheap way to get to and from the Prague airport. The Prague Zoo operates a bus that runs between Nádraží Holešovice (metro C) and the Prague Zoo on weekends and holidays from April to September. The bus runs every ten minutes, does not stop along the way, and the ride is free. Train times can be checked at České dráhy (Czech Railways). Here you can also buy the tickets. Information is in Czech, English and German (select ‘en’ or ‘de’ on the top right-hand corner of the website). You can also buy tickets from any train station. The funicular runs from the Old Town up to the top of Petrin Hill. At the summit, set in landscaped gardens, is the Petrin Observation Tower, a mirror maze and an observatory. The funicular stops half way for passengers that wish to alight at Nebozizek Restaurant. 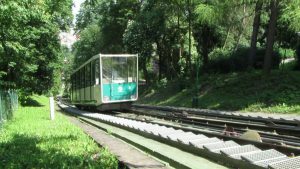 The funicular operates daily 09:00-23:30 from the bottom of Petrin, near Ujezd tram stop. It runs every 10 minutes in the summer, 15 minutes in the winter. The funicular is part of the public transport network, so accepts the standard 32CZK ticket and the passes used on trams, buses and the metro. *If necessary, you can buy a 90-minute ticket directly from the driver for 40 CZK. Both tickets can be used on any type of public transportation and allow transfers between lines (subway to subway, tram to tram, etc.) and transfers between different types of transport (subway to tram, tram to bus, etc.) for up to 30/90 minutes from validation. 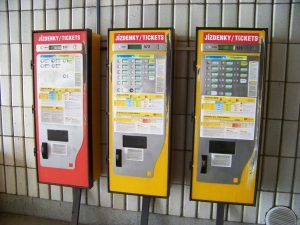 Tickets are sold through yellow ticket vending machines (also in English, coins only), at ticket offices located at some metro stations, at a Tabák/Trafika, at some news-stands, and at tourist information centers. You can also buy tickets by using your mobile phone and sending the text message “DPT24” or “DPT32” to the number 902 06. Your ticket will usually be sent to your phone within one minute. A ticket must be punched at the entrance to the metro station and on the tram/bus to mark the start of the validation period. If you requested a ticket by SMS, you must have received your ticket before you enter the vehicle or the paid zone on the subway. There are several short-term and long-term passes available. Passes can be used on any type of Prague public transportation for the duration of the period for which the pass is valid. Children under 6 ride free. Short-term (tourist) passes are sold at ticket offices located at some metro stations and at tourist information centers. Long-term passes are sold at ticket offices at some metro stations. Ticket offices are located at many metro stations (e.g. Dejvická, Hradčanská, Můstek, Florenc, Hlavní nádraží, Nádraží Holešovice, Náměstí Míru) and are usually open from 6:30 a.m. to 6:30 p.m., some are closed for lunch. Sometimes foreigners don’t have in mind that it is necessary to validate the tickets at the validating machines before entering the metro, or when getting in trams or buses. In the case you have the ticket, but it has not been validated, you can get a fine of up to 900 CZK (!) In Prague public transport, ticket inspections are quite often, especially at the beginning and at the end of the month (a lot of people have pre-paid 1 month ticket). So, we recommend to not try your luck but always have a valid ticket with you. Besides the best public transport (or maybe because of that) Prague has also a high rate of pickpocketing. 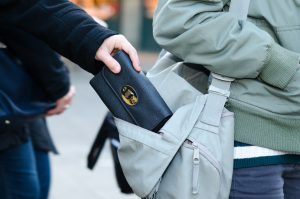 Be aware of this risk and take measures to protect yourself from being a pickpocket’s victim in Prague. Your risk of pickpockets increases when you visit Prague’s touristy areas. These areas include: Charles Bridge, Karlova Street, Old Town Square and Wenceslas Square. Nevertheless, we’re sure you’ll find your way through the city without occurring in any major risk, helped by an effective public transport system accessible at really affordable prices!